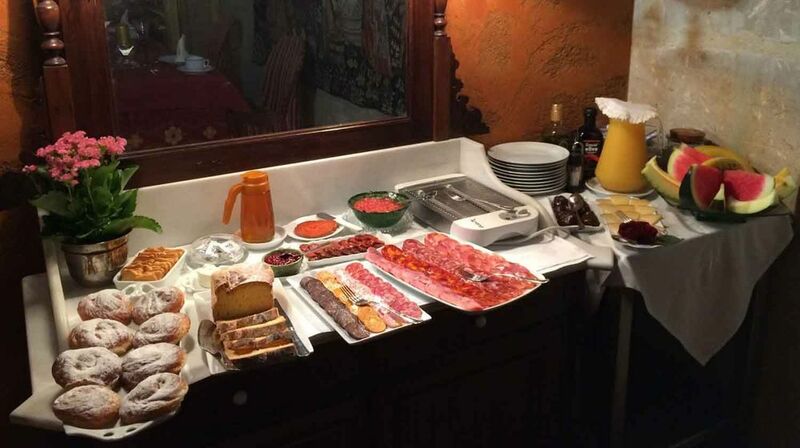 If you are looking for a tour in Spain that provides all your meals, here are a few points worth pondering. Have you ever wondered why some tour operators include meals in the cost of your tour? Here are a few points that might help you to decide what type of tour experience you are really looking for. The advantage of booking a tour that includes all your meals is you won't have to worry about making any choices. The decisions of where you will eat are made for you by the tour group guide or operator. You also won't have to take a lot of extra cash. The difficulty of paying for your meal in a foreign language is left to the tour operator. You will know up front how much your whole tour should cost. However, this may mean you will be trafficked towards cafes and restaurants that tour operators have pre-arranged deals with. The quality of experience you will have might be compromised accordingly, especially if you are in a larger tour group. if you don't like the look of a place, you might not have the choice to eat somewhere else and you will most likely have to eat at a set time that suits everyone on your tour. If you choose a tour company that offers all-inclusive breakfasts and you pay for the other meals you may not actually pay more, in fact you might just save some money. As businesses in Spain have gone through a severe recession, there are plentiful options for eating and many offer great menu del dia options that are very reasonable. If you book your tour with a knowledgeable tour operator they should be able to give you a list of the best places to eat that are less touristy, which will save you a lot on the cost of your meals and avoid any of the 'cheap tourist traps'. Most staff in cafes and restaurants in Spain are wanting to please you and nearly all these days have menus in other languages, especially English, French and German. You can also choose to eat with your tour group or alone and this will give you a greater sense of freedom, as well as more memorable dining experiences. So the decision really comes down to whether you prefer to have a choice, to eat in great places and have some say in where you go, and who know's you might even save money! Sign up to receive news with early bird specials, Spanish more-ish recipes and travel tips. We don't bombard our readers with mail and you can unsubscribe at any time. Your privacy is of the utmost importance to us.We keep all your information in the strictest confidence and never sell to third parties. Thank you! We look forward to sharing helpful travel tips with you and hope you enjoy our blog news. We don't bombard our readers with mail and you can unsubscribe at any time. Newer PostLooking for a luxury tour in Spain without the luxury price? Older PostWhat is the best time to visit Spain?